Mystery surrounding an old photograph unearthed at Pool Academy has been unveiled thanks to the help of the local community. 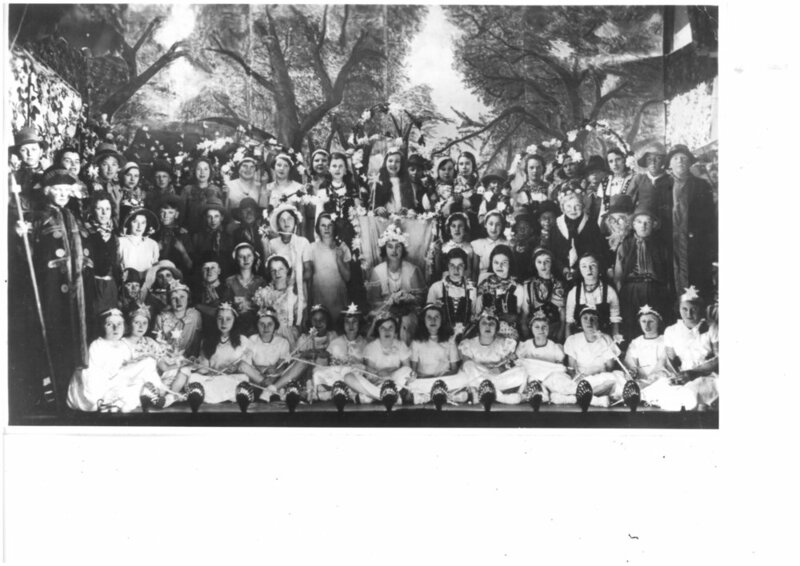 A picture from the 1930s showing a group of more than 50 people dressed in costume was found at the school during an office clear out. Thanks to the West Briton printing the story and issuing a call for information members of the community have come forward. Arthur Thomas wrote to Pool Academy Principal Claire Meakin confirming the image was captured at the end of the school term in 1933. He said: “This school operetta was entitled 'May-day in Welladay'. “My mother Kathleen Arthur, at the age of fourteen, was leading the cast and she is pictured in the centre. Alan Jennings, from Pool, also contacted the school. He recognised the photograph straight away as he had a copy of it himself because it contained his grandmother and mother. He also had another photograph taken on the same day of the group. He believed the photograph was taken in the woods near Trevenson House. Mr Jennings said he went to Pool School himself in 1961 but he couldn’t remember having stage productions whilst he was there.